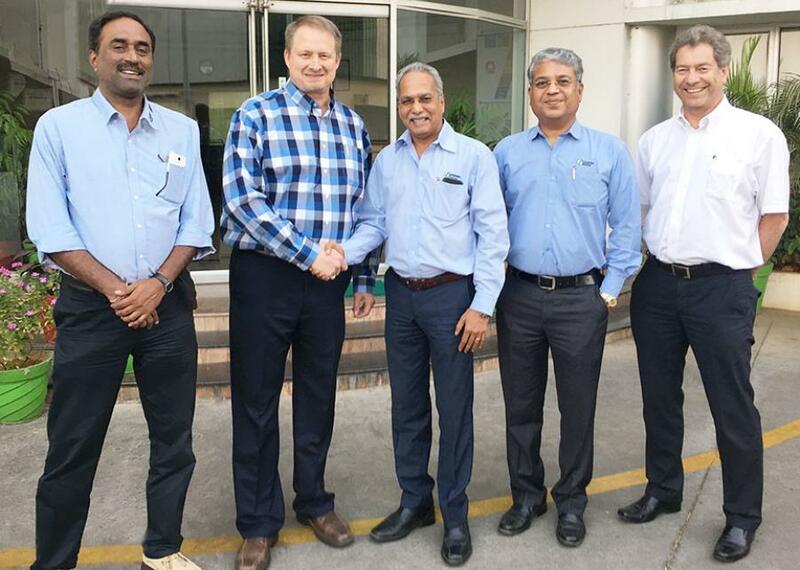 Kent Godbersen, GOMACO’s Vice President of Worldwide Sales and Marketing; Anand Sundaresan, Schwing Stetter’s Chairman; V.G. Sakthikumar, Schwing Stetter’s Managing Director; and Rory Keogh, GOMACO International Ltd.’s Managing Director. Schwing Stetter India, one of the country's leading concrete equipment manufacturers, has partnered with GOMACO Corporation This partnership will provide Schwing Stetter India with the sales and service rights for GOMACO's entire range of concrete paving products across the country, except for the state of Telangana. The company plans to target $10mn sales in India during its first year of association. The Government has recently announced a drive to build 30 kilometers of roads per day; 10950 km road projects and 100 new concrete road projects to be set up in India. In addition to this, the Government has set an ambitious target of increasing the contribution of manufacturing output to 25 per cent of Gross Domestic Product GDP by 2025, from its 16 per cent currently.